Winter opening times have reverted back to 8:30-6 Monday- Saturday, 9-4 Sunday. 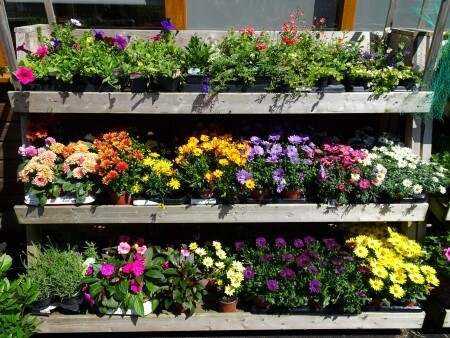 We still have a fantastic range of plants in stock, and plenty of winter bedding including sweet williams, violas, primroses & pansies. Now that the weather is turning colder, don’t forget to wrap up warm with our selection of hats, socks, gloves, and wellies. You can heat your homes too with our range of winter fuels. We can deliver winter fuels to the local areas: £2.00 to Corfe, £4.00 to Wareham, £5.oo to Swanage. We also have a gas canister exchange service! Not forgetting our furry friends this winter, be sure to check out our large stock of small and large animal feed, bedding and accessories. As usual, we will be stocking fresh fruit, veg and eggs throughout the winter months. Fresh daily deliveries from the baker and butcher will also continue. Please call us to arrange specific orders of bread or meat. Call 01929 480098 for any orders or questions.